Isabelle Szmigin is Professor of Marketing at the University of Birmingham. She has taught Consumer Behaviour at undergraduate and postgraduate level at universities in Britain and Asia, and has published her work in leading journals such as European Journal of Marketing, Psychology and Marketing, Sociology and Consumption, Markets and Culture. Isabelle has an extensive media profile and regularly makes appearances on programmes such as BBC's Newsnight, Breakfast and Radio 4.; Maria Piacentini is Professor of Consumer Research at Lancaster University, UK. 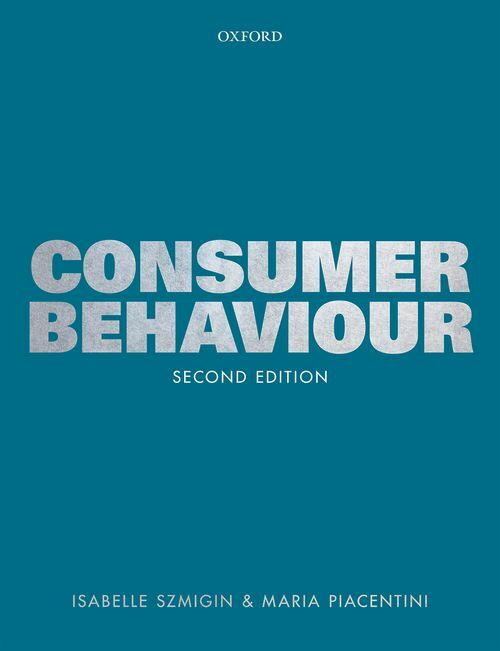 She has taught Consumer Behaviour at undergraduate and postgraduate level at universities in Britain and in Europe, and has published her work in leading journals such as the Journal of Business Research, Journal of Marketing Management, Advances in Consumer Research, Sociology of Health and Illness, and the Journal of Consumer Behaviour.